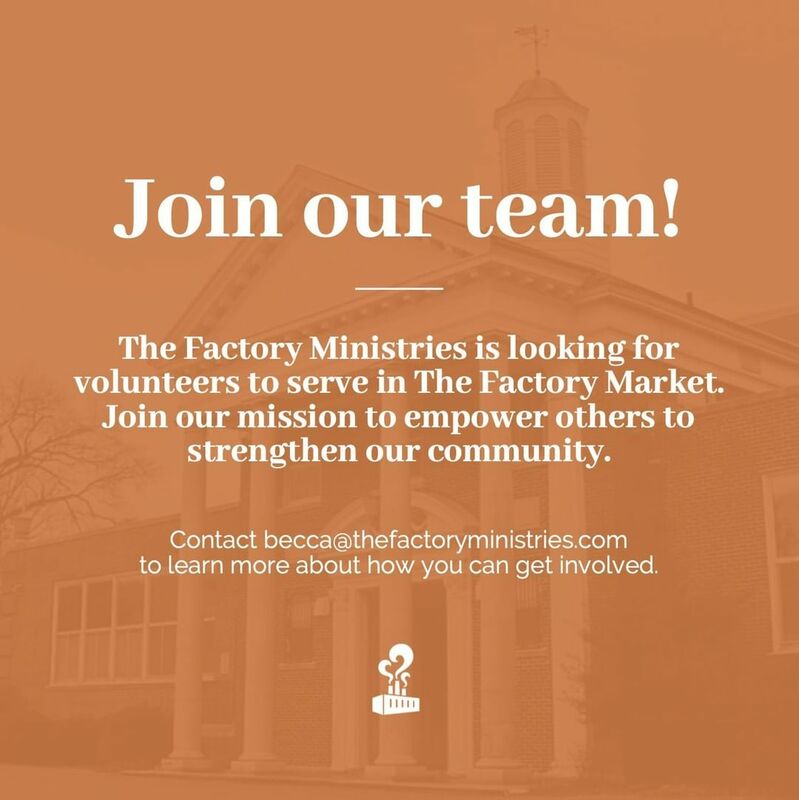 The Factory Ministries | We are looking for volunteers to serve in The Factory Market! Contact Becca@thefactoryministries.com for more information on how you can get involved. We are looking for volunteers to serve in The Factory Market! Contact Becca@thefactoryministries.com for more information on how you can get involved. Home > We are looking for volunteers to serve in The Factory Market! Contact Becca@thefactoryministries.com for more information on how you can get involved.